How can I create a Workbook and Tasks and share them with my students? Length: for example, Between 140 and 190 words or About 150 words. 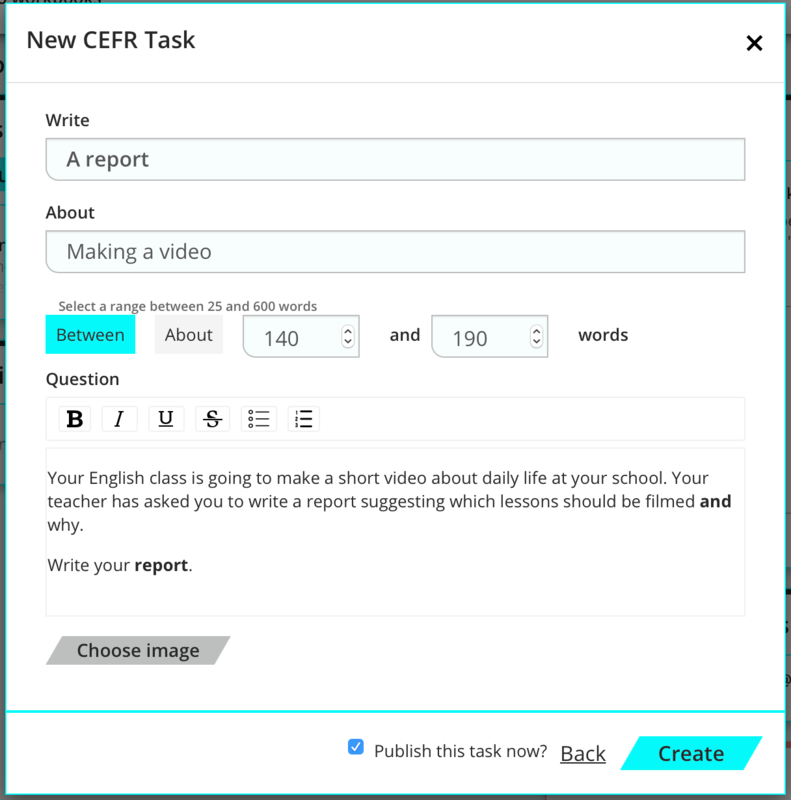 Question: this is where you write the question text, for example: Your English class is going to make a short video about daily life at your school. Your teacher has asked you to write a report suggesting which lessons should be filmed and why. Write your report. Optional: click on ‘Choose image’ and follow the instructions to add an image from your computer to your task. The image must be a .jpeg or .png. 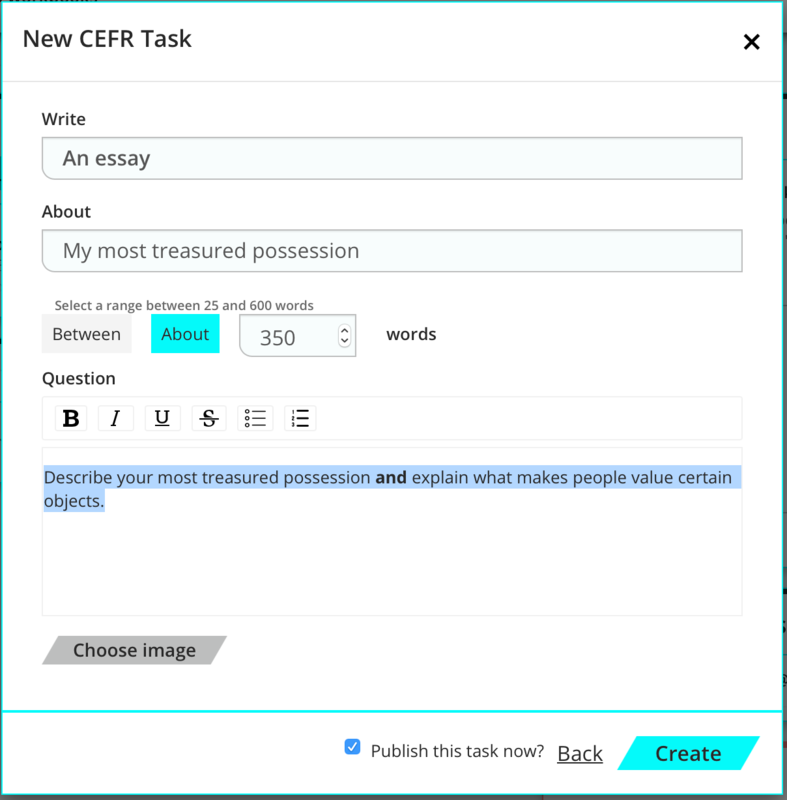 Click on ‘Create’ to publish the task. You can use this invitation code to invite students to your workbook and tasks, for example by writing it on the board in the classroom. 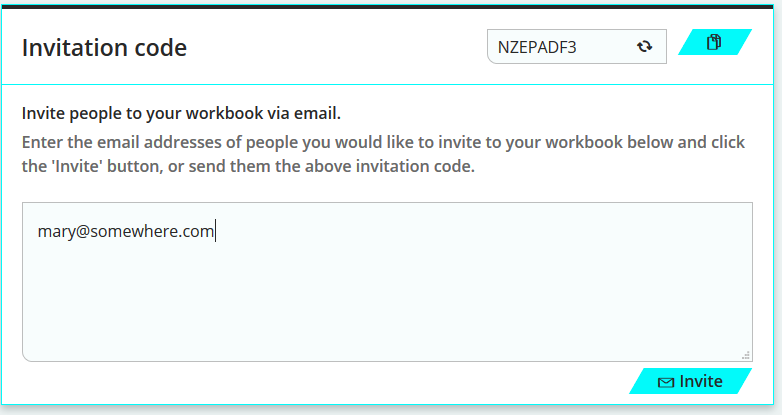 Or you can enter students’ email addresses in the box on your workbook page to invite them by email. If you send them an email by this method, you do not need to use the invitation code. The students you invite will receive an email with a link. When they click on the link, they will join the workbook. Students will receive an email with the invitation code and can go to Write & Improve and enter it to start working. You can also add students to your workbooks without having to use their email addresses. To find out how, click here.